Literature Lemur: Hello, and welcome to The Character Hour! I’m the Literature Lemur, and boy do we have a show for you! Today we will be talking with none other than Helmut Fuhrmann, Sorcerer extraordinaire. 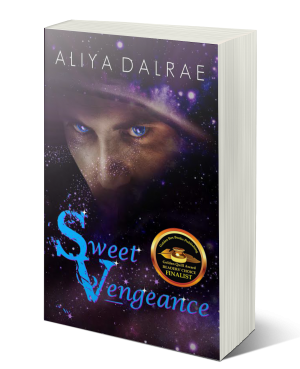 You may remember him from The Jessica Sweet Novels, “Sweet Vengeance” and “Sweet Discovery,” but I’m here to tell you, there’s a lot more to this fictional felon than meets the eye. So let’s give a warm welcome to today’s vicious villain, Helmut Fuhrmann! Welcome Helmut, thank you for joining us! Fuhrmann: Thank you for having me. Literature Lemur: Before we go to the phones, why don’t you give us a little background on yourself? I’m sure the audience would love to know a bit about who you are and how you came to be such horrible person. Fuhrmann: M’yes. I was born in Germany, many, many years ago. Honestly, I’ve stopped keeping track. I am, as you say, of a breed of Sorcerers, and we are, for the most part, a peaceful people. However, when that butcher, Raven, destroyed my life, I had no choice but to exact my revenge. Literature Lemur: By going after him and those he loves, right? Literature Lemur: I see. You say you are a peaceful people. But isn’t it true you are trying to wipe out the lycanthropes? Fuhrmann: The war with the wolves is as ancient as we are a people. Besides, they started it. Literature Lemur: *laughs nervously* Alrighty then! Let’s go to the phones! Lyra from Florida, You’re on the air! What is your question for Helmut Fuhrmann? Lyra: Hey LL! Mr. Fuhrmann, I want to know when you decided to take your revenge. What was the breaking point? Fuhrmann: Thank you Lyra. The breaking point was when I discovered my wife, eviscerated by that Vampire. The decision was instantaneous. The moment I saw my beloved Sylva’s battered and bloodied body, I knew that someday I would have my revenge on the animal who destroyed her. There was never a choice. Lyra: But do you really not feel any guilt when you hurt other people? Do you think that only your people are worthy of respect and pity? Fuhrmann: No one is worthy of my pity. I will destroy anyone who gets in the way of my vengeance, regardless of their blood. I would as easily eliminate one of my own as a Vampire or Werewolf. I have one purpose in this life, and that is to avenge my wife. Stand in my way, and you will surely die. Literature Lemur: *clears throat* Thank you, Lyra! Literature Lemur: Next caller! Susan from Wisconsin, welcome to The Character Hour. You’re on the air with Helmut Fuhrmann from the Jessica Sweet Novels. Susan: Oh, Sweet! Mr. Fuhrmann, I just had to comment on your amazing hair. It’s so long and floaty – I was just wondering, what is your hair care regimen? Are there any products you could recommend? Fuhrmann: Why thank you Susan, so kind of you to ask. Our hair is a point of pride for my kind. While I would love to let it fly freely, it is necessary to keep it in check while out amongst the humans. As far as care, I have a special potion that I use for cleansing purposes, one derived by my mother centuries ago, specifically crafted for the delicate nature of our follicles. However, in a pinch, I have been known to use John Frieda’s Frizz Ease. Literature Lemur: How fascinating! And thank you Susan, for that perfectly safe question! Our next caller is Eva from Rhode Island. Welcome Eva, you’re on the air. Eva: Ok, Fuhrmann, not finding you likeable in the least, share “one” redeeming feature about yourself besides devotion to your wife, which is an aberration at best. Literature Lemur: So right! Our next caller is Jessica from Oregon. Hello, Jessica, you’re on the air! Jessica: Hey, Hi Literature Lemur. Uh, Mr. Fuhrmann, I was just wondering, do you have any role models of evil? You know, torture masters or dark wizards who you admire or emulate? Jessica: Uh…nice…So, quick follow up? What is your favorite recipe, passed down by Gramma Fuhrmann? Fuhrmann: Hmm…That would have to be her Konigsberger Klops. It’s a lovely dumpling filled with minced meat & salt herring, served in a creamy sauce with capers and lemon juice. Literature Lemur: That sounds delicious! Fuhrmann: In fact, it is. Literature Lemur: And, moving on. Our next caller is Maple from Australia. Maple, go ahead with your question. Maple: Hello! Mr. Fuhrmann, I have another hair related question, but this one is more of a technical nature. Does the static electricity that makes your hair fly around interfere with your magic, or is it a part of it? Literature Lemur: That’s so very interesting, there, Mr. Fuhrmann, but let’s say you keep that braid in for now, right? Literature Lemur: Our next caller is Jeannie from New Hampshire. Jeannie, do you have a question for Helmut Fuhrmann? Jeannie: Indeed I do! Mr. Fuhrmann, if you weren’t so busy doing all of this evil Sorcerer stuff, what would you see yourself doing, you know, for a living? 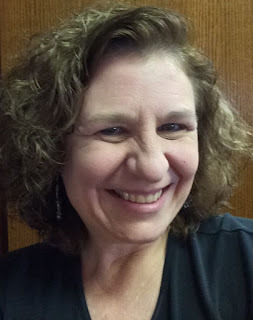 Fuhrmann: Interesting questions, Jeannie. I believe if I weren’t so focused on avenging my wife, I would probably be working for the government in some capacity. Technically, that’s what I’m supposed to be doing now, but you know how it is. Priorities and such. Literature Lemur: Yes, I suppose we do! *clears throat again* So, I think we have just enough time for one more question. Maude from Miami? You’re on the air! Lyra: Hey, I got cut off earlier, and I had more questions. Literature Lemur: Wait, is this Lyra from Florida again? Literature Lemur: Okay folks! I think that’s about all the time we have today. Thank you Mr. Fuhrmann, for your candid interview and for your extreme patience with all of our callers! Literature Lemur: *yelling over the din* Join us tomorrow for another amazing show! This is the Literature Lemur, with the Character Hour, signing off! Women are dying in Fallen Cross, people I know, people close to me. Aliya DalRae is the author of the Jessica Sweet Trilogy. Her debut novel, Sweet Vengeance, was published in February 2016, with the sequel, Sweet Discovery, becoming available in April 2017. 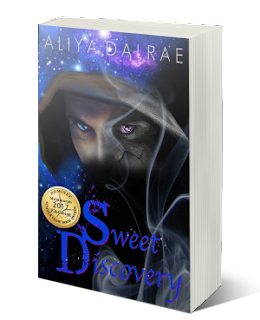 The third and final book in the trilogy, Sweet Destiny, is well underway. Born and raised in a farming community in rural Southwest Ohio, Aliya grew up a middle child, with an older and younger brother. Surrounded by corn and cows, it was not unusual for Aliya to immerse herself in books, her way of escaping the humdrum small-town life to visit fantastic lands full of mystery, myth and legend. And of course, romance. Aliya’s first love was musical theater, and as a teenager dreamed of one day performing on Broadway. Her early writing consisted mostly of poetry and songs. Those dreams were put on hold, as life intervened (as life often does), and she moved on with other pursuits. After graduation, and a brief time living in England, Aliya returned to her home town, where she worked mainly in administrative positions, but her love for books never waned. In 1992, Aliya met her immortal beloved, and they have been inseparable ever since. When not weaving romantic tales, she can be found working side by side with her husband in their furniture restoration business, where she weaves caned chairs instead.